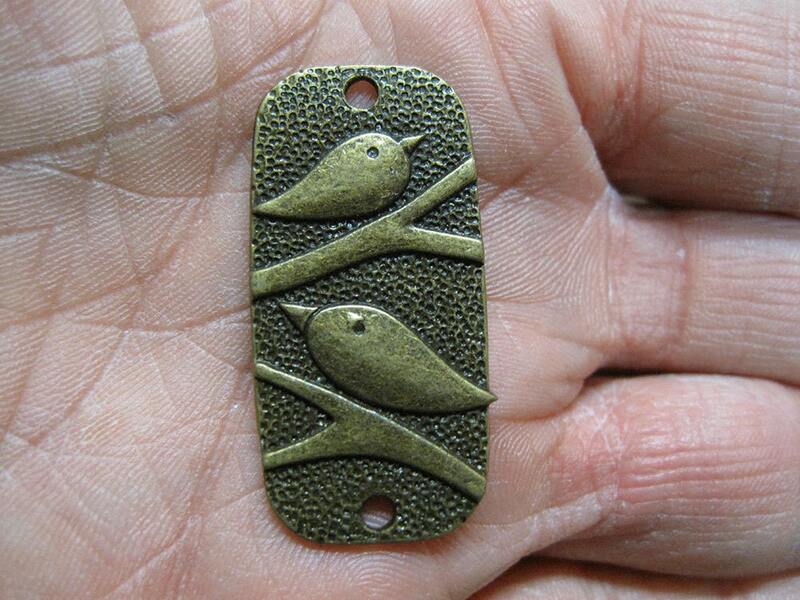 Antiqued bronze plated perched birds on branches two hole connectors or pendants. 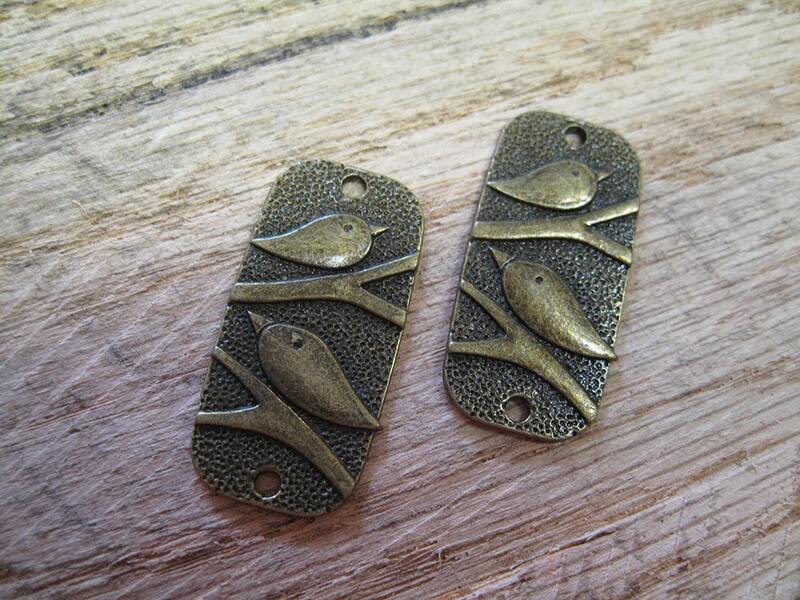 These are antique bronze plated brass, lead and nickel free and they measure 38mm x 19mm. These would make great necklace connectors with room to add some dangles below! You will receive 2 charms.